Recline in the modern luxury and convenience of the Buncrana power reclining sofa set with a high back and Easy View™ power adjustable headrests. 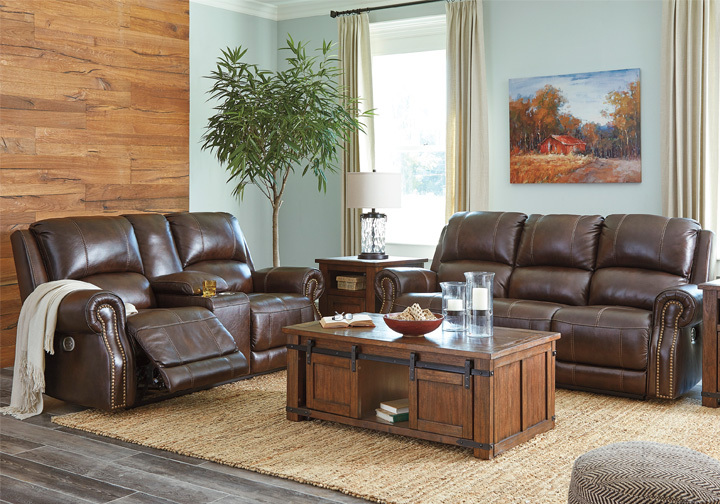 With the touch of a button, you can easily position the recliner and its headrest for maximum comfort. Plus, with the convenient USB charging ports, electronics can be charged without having to get up. The feel of heavy weight leather surrounds you with the seat cushion, interior back cushion and armrest, while faux leather is on the back and sides for affordability. 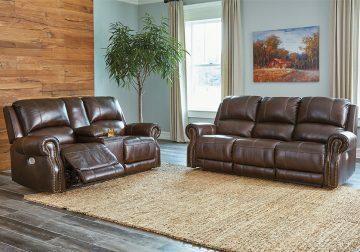 Bring a luxurious look full of details, such as nailhead trim and rolled armrests, to your living area—what a treat of comfort to be enjoyed for years to come. Frame constructions have been rigorously tested to simulate the home and transportation environments for improved durability. Frame components are secured with combinations of glue, blocks, interlocking panels and staples. Stripes and patterns are match cut. All fabrics are pre-approved for wearability and durability against AHFA standards. Cushions are constructed of low melt fiber wrapped over high quality foam. Features metal drop-in unitized seat box for strength and durability. 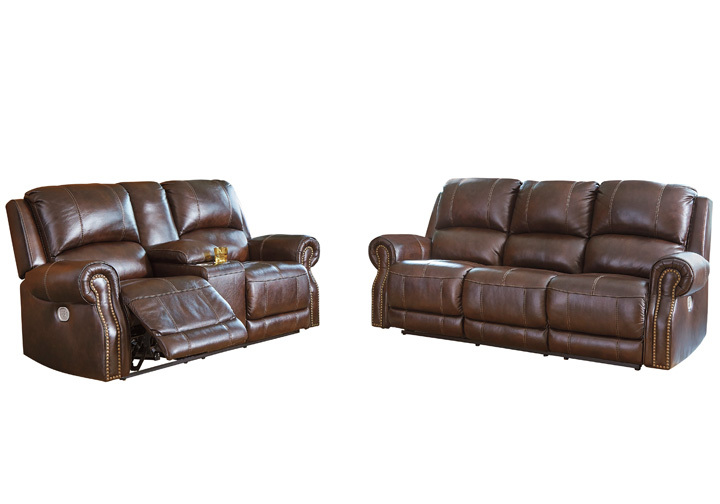 The power reclining mechanism features infinite positions for comfort and a USB charging port in the control. In addition, the style features a power adjustable head rest. This style features Jumbo Stitching.